The elegant Cham towers at Chien Dan (Chien Dan Cham; Hwy 1; admission 12,000d; 8-11.30am & 1-5.30pm Mon-Fri) are located just outside the town of Tam Ky on a wide open field; the only other building nearby is a small museum. Dating from the 11th or 12th century, each kalan faces east. Many of the decorative friezes remain on the outside walls. The middle tower was dedicated to Shiva; at the front left-hand edge of its base there are carvings of dancing girls and a fight scene. Look for the grinning faces high up between this and the left tower (honouring Brahma) and the two elephants at the rear. The right-hand tower is dedicated to Vishnu. Although the towers escaped the bombing that ravaged My Son, scars from the American War are evident – witness the numerous bullet holes in the walls. 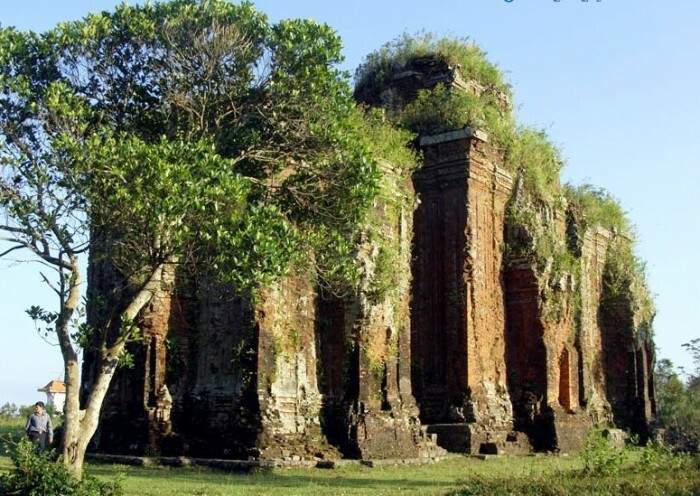 This rarely visited site is to the right of the road on your approach to Tam Ky, 47km south of Hoi An.